Were Alfred Hitchcock, Ridley Scott and the creators of Stranger Things channelling Dorothea Tanning in an attempt to scare viewers? Ann Coxon, curator of a new retrospective of the under-the-radar Surrealist, believes these filmmakers consciously or unconsciously harnessed the potential of Tanning’s recurring macabre motifs — doors to nowhere, bodies bursting through walls, monstrous plants — to inspire terror. 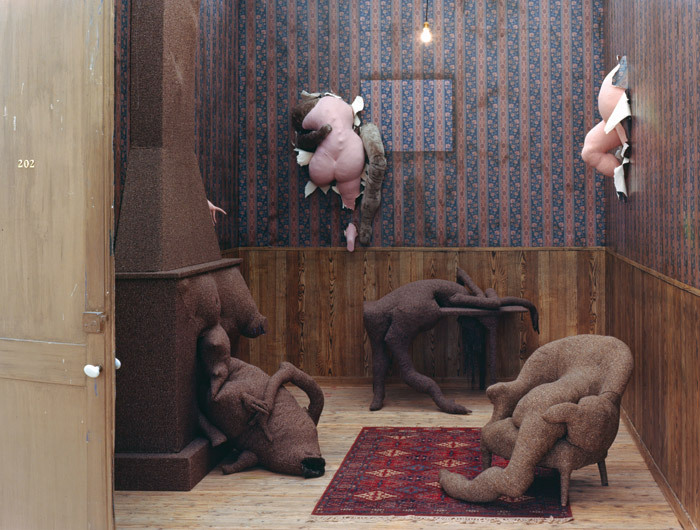 ‘She didn’t have a traumatic childhood or particularly difficult life, but the work is dark,’ acknowledges Coxon, curator of displays and international art at Tate Modern, who finds the domestic spaces against which much of the artist’s work is set ‘oppressive and claustrophobic’, her pubescent heroines doing their best to break out of them. Tanning’s young girls with flying hair, menacing sunflowers, voluptuous female bodies bursting through wallpaper and endless open doors are currently haunting oxblood-darkened walls in Tate Modern, where her Eine Kleine Nachtmusik (1943) is one of the most popular holdings. 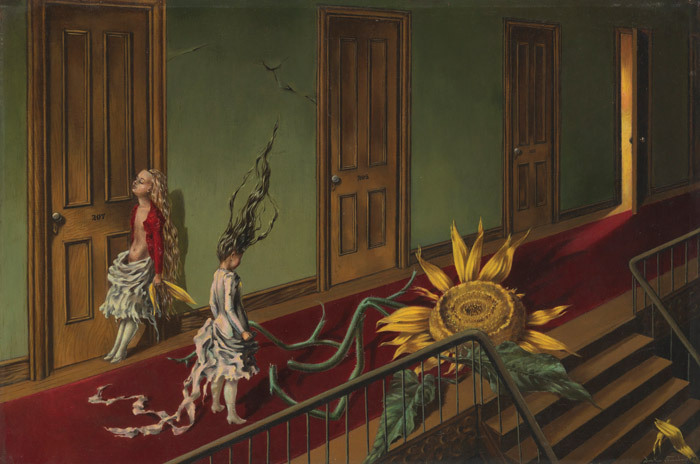 It depicts two girls in rags, one leaning against a door in a state suggesting sexual ecstasy, the other confronting a giant sunflower dripping petals, an open door leading to what seem like flames beyond. Remarkably, Tanning flourished with her figurative visions during a postwar period dominated by abstraction. She pioneered soft sculpture as a medium, obsessively collecting, tearing and sewing cloth into strange anthropomorphic forms before dropping them after starring several in a killer installation, returning to painting and redirecting her creative drive towards prose and poetry. Finding her upbringing in Galesburg, Illinois constraining, Tanning headed for New York, making a living sketching commercials for Macy’s, whose director, impressed by her talent, introduced her to the influential gallerist Julien Levy, who recommended her to Max Ernst in 1942. After visiting her studio and staying, bewitched, to play chess, Ernst promoted her work to his then-wife, Peggy Guggenheim, a champion of the Surrealists. ‘What he fell for in the beginning was the painting. I came after,’ recalled Tanning. The stylish beauty who sported frayed cut-off jeans half a century before they became standard womenswear was a full-blown Surrealist in her own right. 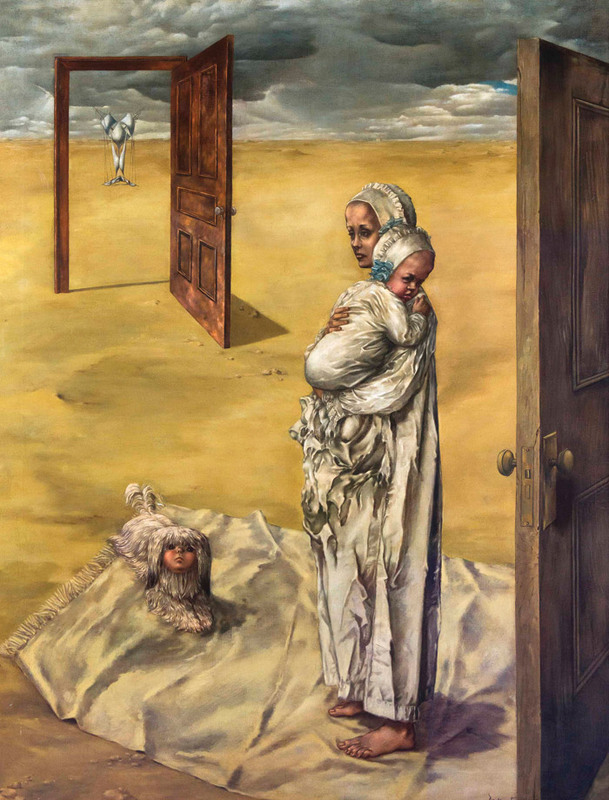 The painting which knocked Ernst’s socks off was her self-portrait Birthday (1942), featuring a bare-breasted Tanning with a chimera at her feet, frock dripping tendrils buried with creatures, clutching an open door leading to another and another and another — imagery Hitchcock would replay in Spellbound. Tanning’s paintings pose riddles: are the girls in Children’s Games (1942) tearing down the wallpaper to get to their future sexual selves behind? Is the melancholic Maternity (1946–47) connected to the fact Tanning did not have children? Is the high-heeled shoe squashing a bishop on a chessboard in Endgame (1944) a feminist statement? The soft sculptures are distinctly modern, presaging work by Louise Bourgeois, Sarah Lucas and this year’s UK representative at the Venice Biennale, Cathy Wilkes. They found their apotheosis in the most unsettling work of all, Hôtel du Pavot, Chambre 202 (1973), its voluptuous bodies pushing through the wallpaper as terrifyingly unstoppable as Ridley Scott’s chest-bursting Alien of 1979. Wallpaper is a preoccupation for Tanning, who noted of her stifling childhood: ‘Nothing happened but the wallpaper.’ Tanning makes it perform: ‘It represents the facade of normality; she wants to chip and tear away at it and get to the interesting, subversive stuff underneath,’ says Coxon, who sees a resonance with the television series Stranger Things, its monster bursting through the wallpaper, its pubescent heroine holding the keys to the underworld. If Tanning has been under-celebrated, it’s the fallout from refusing to be defined as a ‘woman artist’: ‘It meant she turned down a lot of opportunities to exhibit,’ says Coxon, who concedes that despite dismissing the relevance of gender in making art, Tanning was nevertheless subsumed by the conundrums. 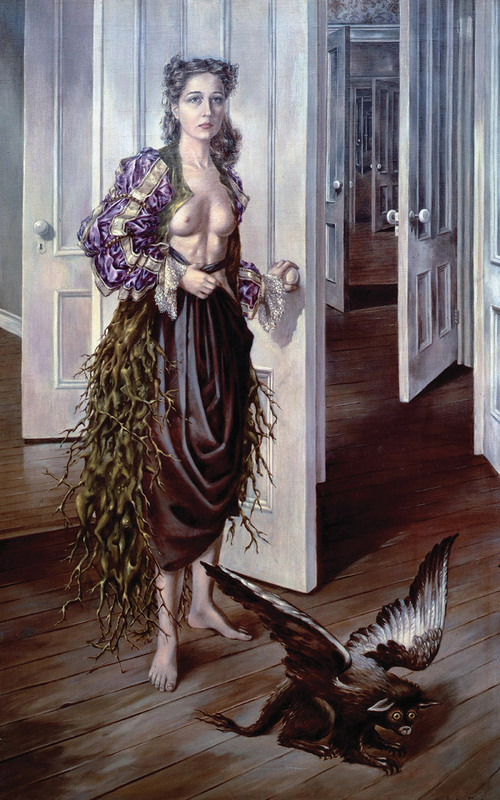 ‘She’s presenting us with a feminine imaginary which is troubling, subversive, making work from the 1940s onwards about the dawn of sexuality, quite a daring thing to tackle.’ When Tanning wrote: ‘Now the doors are open, the air is mother-of-pearl, and you know the way to tame a tiger,’ she was talking about painting — but she could just as well have been talking about navigating a long and extraordinarily productive life. She died in 2012 aged 101, making work until 1998.